AMA interview with Mitch Russo, an experienced business strategist, implementation consultant, and serial entrepreneur, former CEO of Business Breakthrough International, a training/coaching joint venture with Chet Holmes & Tony Robbins that he scaled from the ground up into a $25M in annual revenues. Before Business Breakthrough, Mitch founded Timeslips Corp which he sold after reaching $10M in sales. 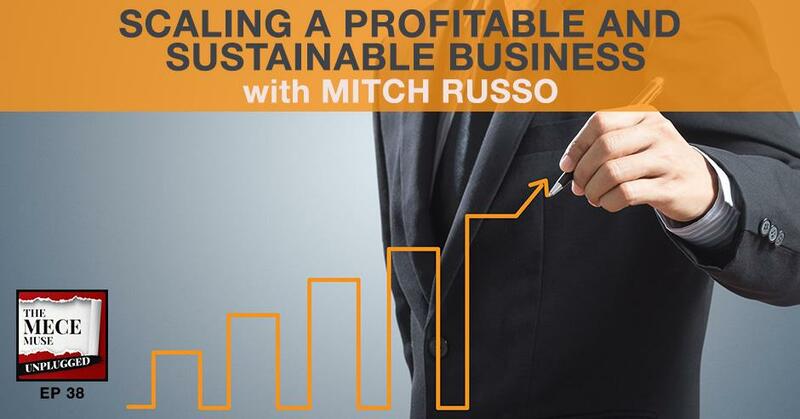 Mitch delves into how to scale a profitable, sustainable business, sharing stories and lessons learned along the way. He shares his thoughts on how to best work on virtual teams and his new venture, Results Breakthrough Network. We are going to be doing an Ask Me Anything or AMA interview. AMAs are when I have the utmost pleasure of connecting with either seasoned or former consultants and they give you advice. We’ve got Mitch Russo in the house as our guest. He is a seasoned business consultant and he’s a serial entrepreneur. He’s the former CEO of the Tony Robbins and Chet Holmes joint venture called Business Breakthroughs International. We get a chance to connect with Mitch and he shares a lot about the art of scaling. How do you scale a business or scale a particular joint venture, whether it’s for yourself or your business or for your clients? How do you do that in a way that brings results in a sustainable way? Mitch delves into that. He also shares a little bit about his Results Breakthrough Network that he’s just getting started. I’m super thrilled and honored to have Mitch. 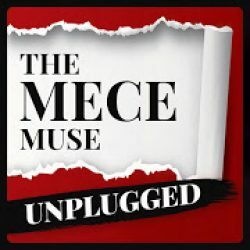 Thank you so much for taking time to be on The MECE Muse Unplugged. How are you doing? Thank you for taking the time. Maybe you can take a moment to introduce yourself. My background is that of a business founder. I started a software company when I was in my twenties. I grew it to over 100 people and then I sold it to a European company called Sage PLC. I had a lot of fun doing that. That was a great experience and I learned so much being a software company founder. As my life unfolded, I came back at the age of 40 years old. I had finished all of my financial goals for just about a lifetime and I didn’t know what to do next. I decided I would help other companies. In a sense, that’s all I’ve been doing ever since. I decided to go back into consulting and help other companies. I was able to help nineteen different companies to either raise money or launch before I took a job working directly with my friend Chet Holmes to build a company called Business Breakthroughs International with Tony Robbins. Tony, Chet, and I went into partnership together and we built Business Breakthroughs International, which grew to be about a $25 million a year company based entirely on helping entrepreneurs and business people with training, consulting and coaching. The training programs that we created were very powerful and very popular. We sold them through webinars and we advertised on the radio. I was responsible for spending millions of dollars setting up radio campaigns and executing those to make sure that we got the most out of them. As background, that’s what I’ve done. Since then, I work individually with clients to help them grow their companies. I have started a new company recently called the Results Breakthrough Network. How did you get connected with Chet and Tony Robbins? I’m a huge Tony Robbins fan. I went to a couple of his workshops in the past. How did you get connected with them? When I built Timeslips Corporation, which is the software company I mentioned earlier, it was started in a garage with $5,000, and we made so many mistakes. I could spend an entire show talking about just all the mistakes we made starting that company and I was somewhat young and naïve. I did some things which I am certain I wouldn’t do today. One of the things that happened as a result of me starting Timeslips Corporation is I had this very pesky sales guy called Chet Holmes trying to sell me advertising base. Chet is relentless if he wants to sell you something. If you’re on his dream 100 list, forget it, you’re going to get sold. He was that good. I resisted the best I could, but ultimately about a year and a half later, Chet and I did business together and it was a great experience. We bought ads in the publication that he represented. They were fantastic. The ads goosed sales and we developed a very deep friendship along those lines. We stayed friends since 1988 and we’ve been friends all that time until he passed away. When I sold my company, I brought him into Sage and we did sales training with Chet. Eventually, Chet came to me and said, “Can you help me with the company and building?” I said, “Of course,” and I got involved in his company, Chet Holmes International. We had a lot of fun building that company, but the real fun came when we began negotiations with Tony Robbins. We didn’t know what was going to happen, but it turns out that Tony loved what Chet had done, loved his materials, and as a result was very favorable about working together. Chet, Tony and I built a partnership together and what that ended up being was a joint venture effectively. It was a joint venture among Chet, Tony and myself. We held an event in Las Vegas in 2009. We brought 500 people into Las Vegas for the Ultimate Business Mastery Summit, which was recorded and later became the Ultimate Business Mastery System. What we did was we recorded 56 hours of videos and materials, then used that material to build training, and then used that training as a course and a way to bring people into our company. That’s how I got started working with Chet and Tony. Once we got started, it just mushroomed from there. Tony is the ultimate promoter and one of the most respected people in the training and coaching business, so when we started running radio ads, the response was overwhelming. It was crazy how many people were calling every single hour about wanting to hear what Tony was doing with Chet and I. When I think about and look at your background, Mitch, you are definitely an expert at scaling and building. In your conversation you mentioned some of the mistakes you made, lots of mistake. Consultants out there that are looking to scale, that are looking to take their business to the next level or helping their clients to take their business to the next level, what’s the one thing you wish you did then that you know now? I’ll tell you the mistake I made at Timeslips that I did not make when I was running Business Breakthroughs International. When I was running Timeslips, we were an expense-heavy company. Timeslips was a packaged software business, and so we had to build a manufacturing facility to create and build our products and then ship them. We had 100 people working at the company and we were under $10 million sales, so too many people is the point I’m making. Before then, I built another company for a venture capital firm called Furniture Fan. With Business Breakthroughs, we decided that we were going to do everything virtually. What we had was a centralized IT division that served the rest of the company, did all of our billing, all of our mailings, and did everything. We think about them in the center of the circle with a hub structure and spokes being divisions. We had eleven divisions around that center hub, and each of those divisions operate as an independent entity. Scaling was very easy because when we wanted to add a new product line, we just created a new division, hire or promote a new division president and all of the functional work that needed to be done was going to be handled by the central hub, which was our IT Division. Scaling became fast and easy. Because we were virtual and because we paid on a performance basis, we never ran up a lot of bills. In essence, by being a virtual company, we are able to keep the expenses down. As sales increased, our expenses increased, but proportionally, so our profits increased as well. That was the way I solved that problem later when Chet and I built the infrastructure for Business Breakthroughs International. I was looking at your book called The Invisible Organization. It’s such a timely topic. You just talked about scaling and building virtual teams. Can you tell us a little bit about the book? Share some advice you would give to consultants on how they can work effectively on virtual teams. Things have changed a lot even in the last few years. That book was published in 2015, and what that book was designed to do was to blueprint the entire process of taking a brick and mortar company virtual. In that book, I share a lot of information about the mindset of the CEO. Mindset comes first. That is the most important piece because if the CEO’s mindset isn’t correct, then the company will never function virtually. I’ll give you a simple example. If the CEO thinks he’s going to lose control of his company by sending people home, then it’s not going to work. Because he’s not going want to send people home, he’s not going to trust them, and as a result, those people won’t feel trusted and won’t want to work for that company. My belief is that if you get the mindset right and you understand that we’re in a different world now, even from 2015, where everything is decentralized, there’s so much great software out there to help individual operators run large staffs virtually. It’s remarkable. 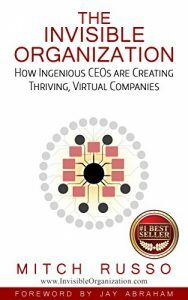 When I wrote the book, I knew that it was going to be almost out of date in terms of the technology components immediately so I built a website called InvisibleOrganization.com where anybody who bought the book could go there. That website is the technology update center for the book itself. So that book always has a component that is constantly being kept up to date. The bottom line is that for me, the book was a way to utilize a virtual organization from a marketing and sales perspective because once you are virtual, you have superpowers that you could use that other companies can’t easily do. This is a very popular example because many people use it. 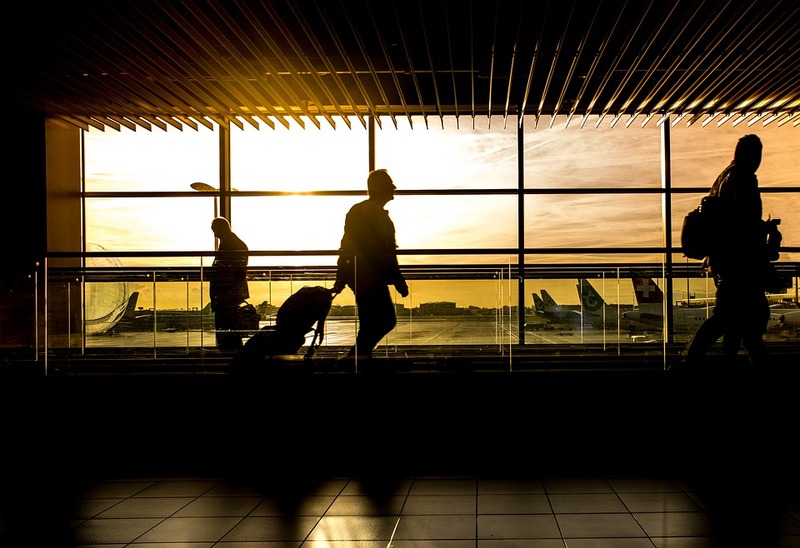 If you were to call Southwest Airlines or JetBlue and speak to an operator, did you realize that you’re speaking to somebody who is working from home? Most people don’t realize that. Did you know that? I did and I didn’t. I don’t think about it, but I feel like I’ve heard something like that. In a sense, imagine if everybody who worked for JetBlue or Southwest or other airlines at this point had to drive into Boston every day to Logan airport or some other place and park in the parking lot, take the elevator up to the 19th floor and sit there in a cubicle, imagine all of that overhead and all of those phones and cubicles and systems and everything else. Instead what they do now is they hire somebody, they install a VPN, a Virtual Private Network, on their new employee’s computer at home, and then install some software on their home computer. Next thing you know, they have a secure telephone system and terminal that they could run their entire business from. All of these things are new in the last ten years, and even in the last three to four years, they’ve skyrocketed in popularity. The book itself is that blueprint and the blueprint itself is valid even if the technology in the book is a little bit out of date, which is updated on the website. That book has been helpful for me to show people exactly what I did when we built and ran Business Breakthroughs International. What about working on virtual teams? The best practices outside of the technology piece, any processes or ways of being that you would recommend? If you’re talking about the individual people who are hired to work on remote teams, most people these days who work on remote teams are used to it and probably have been doing it for years, but a lot of managers are not. If I would offer any advice, and this is in the first part of the book, the advice I would offer is over-communicate everything, over-communicate in chat rooms, set up Slack channels right away, so that you’re able to stay in touch with everybody. My favorite two applications are Slack and Trello. I manage a good part to my business with Slack and Trello, and I would recommend that people who are engaging remote teams use Trello or something like Trello for project management and Slack or something like Slack for group communication. That works the best for me. As far as tips go, if you’re going to be on a team, be friendly and communicate and share. Transparency is the big thing and will continue to be the prime component of working virtually. When you’re not scaling businesses or building new organizations, what do you like to do for fun? My actual passion is landscape photography. I don’t mention it much on shows and interviews because it generally doesn’t come up, so I’m glad you asked. What I love to do is pick a spot on some place in the world and I like to plan a trip and I like to get on a plane and disappear for a couple of weeks. To me, that is pure joy. I show up. I might be in a tiny little hotel room in a foreign country. Sometimes I’m with a group of people, sometimes I’m not. I then take the next several weeks with my cameras and I explore and I make pictures. Those pictures are my internal vision of what I feel when I’m in those moments and in those places. The photography is my way of being fully present in the world and to the beauty of the world and I love doing it. Do you post any of your pictures online? Yes, I do. All of my pictures are at MitchRussoTravels.com. Thank you for sharing that. I can’t wait to take a look at some of your pictures. It sounds very relaxing and it sounds like a lot of fun. I have to correct you on that. It’s not relaxing. I usually feel like I need a vacation when I come home. Most of the time, I’m either hiking or I’m traveling or we’re up at 5:00 AM to capture the sunrise and then we’re out until 2:00 AM to shoot the night sky. I’m an astrophotographer, so my favorite time to photograph that is the night sky. I wouldn’t have thought there was all of that behind it, but it sounds like you’re an expert photographer, so that’s great. Mitch, you mentioned about your new company that you’re getting started, Results Breakthrough. Can you tell us a little bit about what you’re up to with that? How people can connect with you if they’re interested? Let me first explain what the problem I decided to solve was. We all have bought training programs. Let me ask you a question and be honest. Have you ever bought a training program or any course online? Have you ever done that? If you think back of all the courses and training programs that you bought, did you finish them all? I didn’t either. Even some of the ones I finished, I don’t feel as if I’ve gotten everything I could’ve out of it. This problem was bothering me because I paid a lot. I’ve spent over six figures in training programs, courses, and masterminds, and I always feel as if there’s something missing. I was trying to think about what it was and I came upon a solution. I had solved this problem years earlier in a different company. What I decided to do was find an accountability partner to help me finish my course. When I did that and I finished the course and I got all the results that I expected, I realized at that moment in time that I could help lots of entrepreneurs get all of their courses finished by finding them an accountability partnership. 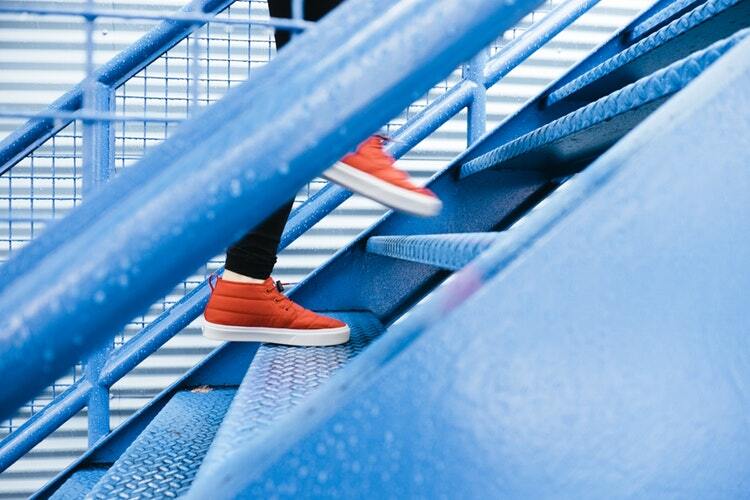 Sustainable Business: As long as you’re pivoting, as long as you’re moving forward, you will be a success. I built Match.com for entrepreneurs and it’s called the Results Breakthrough Network, ResultsBreakthrough.com, and there’re three elements of the way the site works. Number one, you go there and you connect with another entrepreneur. Once you connect, you get on the phone with them and you use the software to guide you through your weekly accountability sessions. The software prompts you to answer every question, collects all of your statistics, makes sure that you’re scheduled for the following week, and collects all this information and displays it on a dashboard so that you could see the progress you’re making week after week and month after month. That’s the first thing it does. The second thing it does is we’ve created a community of powerful entrepreneurs who all have the same goal, which is to be successful. That is a private community just for the Results Breakthrough Network folks. In that community, every week we bring in a guest speaker to do a no‑pitch masterclass for everyone. Those masterclasses are usually people that would be inaccessible to most of us. Not only are there masterclasses, but there’s guests coaching as well, so we’ll have life coaches drop in and handle questions that anybody has, very successful people who decided to help, and those are some of the things we bring to the network itself or to the Facebook community. The third piece, this is my favorite piece of all, is called the ten-minute mentor program. When you come to the ResultsBreakthrough.com and you fill out your application and your profile, you’ll have a box that says, “Yes/No, I want to be a ten-minute mentor.” If you say yes, than what we will do is through one of the major organizations operating in the United States, we will connect you to an inner city high school kid so that they can be mentored by you. They can get ten to twenty minutes of your time once a month so that they can explore their dreams and ideals about business with somebody like you. That’s what the entire Results Breakthrough Network is all about. It sounds like you’re always up to the next cutting edge thing just from our brief conversation. Thank you for sharing that. Any last remarks? Anybody has the chance to be incredible. The only way and the only thing that would ever stop you is you agreeing that you failed. I want to make a pact with everybody is I want you to agree that the only thing that you have to do is keep going, and if you need to pivot, by all means pivot, but if you give up, then you’ve failed. Until you give up, as long as you’re pivoting, as long as you’re moving forward, you will be a success. It looks like I have had a lot of success in my life and I have, but there were years when I failed and failed and failed, but I never gave up. I just kept pivoting until eventually I discovered what was right for me and I hope that you can do the same. Mitch, how can people get in contact with you if they want to connect with you? The basic way to do it is go to MitchRusso.com. Thank you so much. This is such a great conversation. I enjoyed it and you’re a great interviewer. Thank you so much. Thank you so much, Mitch, and thank you go-getters for tuning in. This is Christie Lindor signing out for The MECE Muse Unplugged pop-up podcast. Here’s to your journey to greatness. My experience dates back to 1978 when I started working as an Electrical Engineer at Digital Equipment Corp in Maynard, MA. I migrated to application engineering for Mostek (a semiconductor company) and then to selling chips to large and small companies alike. 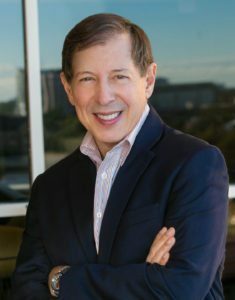 In 1985, I entered the software business as the founder of Timeslips Corp (sold to Sage Plc) after creating the largest network of Certified Consultants in the software industry, helping Intuit Corp create their own Certified Quickbooks Accountant Network as well. After selling my company, I then ran Sage Plc in the US as the COO, with over 300 staff. Moving back to Boston, I then found myself involved in the VC community, first as an advisor to startups and then as the CEO of the largest furniture shopping site early in 2000; FurnitureFan.com. As a CEO Advisor, sometimes to several companies at the same time, I participated in many different business types, solving many diverse types of problems in sales organizations, marketing, technology, systems and H/R related issues. I later became interested in options trading and mentored with a floor trader at The Chicago Board of Options Exchange. Then, in 2007, responding to my friend Chet Holmes request to help solve a problem, I became involved with his business.